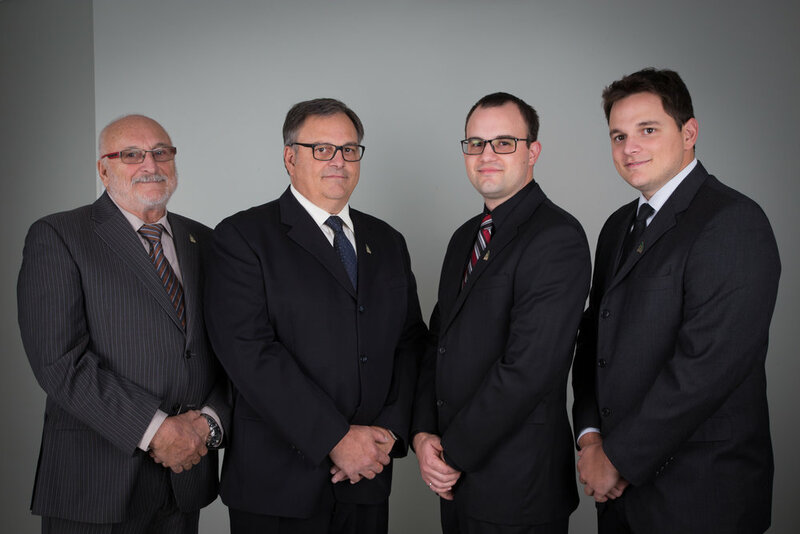 From left to right: Mr. Guildo Deschênes, Mr. Sylvain Deschênes, Mr. Georges Deschênes et Mr. Frédéric Deschênes. Established in 1947 by Mr. Georges Deschênes, founding president, Groupe de Scieries GDS (GDS) has become one of the most important companies of the forest product processing industry in Lower St. Lawrence and the Gaspé Peninsula. Today, Mr. Guildo Deschênes, Board Chairman, and Mr. Sylvain Deschênes, CEO, manage the company. For some years now, Mr. Georges Deschênes and Mr. Frédéric Deschênes represent the 4th generation of the Deschênes family to join the ranks. GDS generates more than 450 direct and indirect jobs, and is entirely managed locally, since the head office, the administrative centre and the sales office are in Dégelis, Témiscouata. GDS operates three sawmills in the towns of Grande-Vallée, Marsoui and Pointe-à-la-Croix, a wood-drying facility in Lac-au-Saumon and a secondary wood processing plant in Matane. GDS is involved in various fields of activity: logging, sawmilling of rough lumber and the products related to this activity, the preparation of lumber, the secondary processing of wood for the manufacture of specialty products, and sales.